Author Phyllis J. Perry wrote a gem when she published Sticks and Stones. Each simple game is easy to enjoy, yet many are also challenging and engaging. Here's a summary of why this book will benefit your child. Games with other children help build friendships. Some children are too shy to jump in and play, while others may knowingly or inadvertently exclude others. Playing games that have a set plan, such as those in the book, includes everyone. Friendships are made by connecting with others. Playing games together enhances problem-solving skills. Some of the games in Sticks and Stones involve strategy; others require quick thinking while engaging in a physical activity. Action coupled with thinking skills is good exercise for the brain. 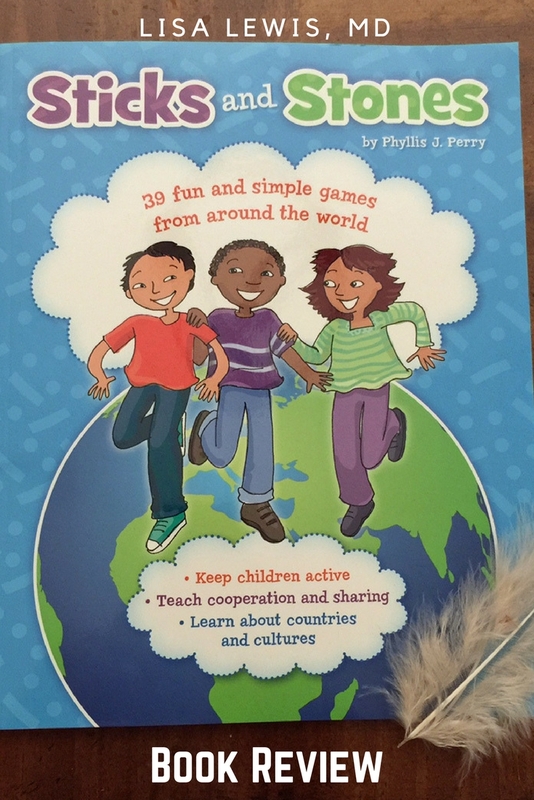 Playing games from around the world teaches children about other cultures. 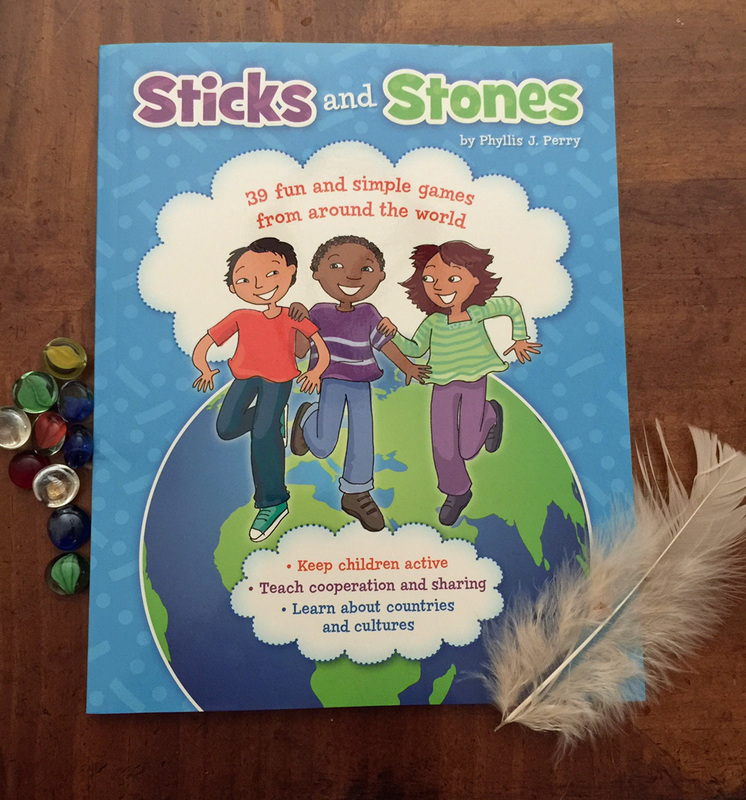 Sticks and Stones adds a cultural component by connecting each game to its country of origin. The book is organized by country and gives geographical and cultural information as well as a description of the game that will be played. Exercise is good for the body and brain. The World Health Organization numbers suggest that close to 80% of young people globally may not be getting enough exercise. Due to the recent rise of awareness within our Western culture, these numbers seem to be leveling off, because many people are becoming more aware about getting their kids out and moving. Sticks and Stones gets children off the couch and playing. Also, many of the simple games in this book involve physical activity that engages both gross motor and fine motor skills. Sticks and Stones is organized well for reference. After a thorough Table of Contents, the book offers a “games overview” page. This page indicates whether a game requires 2 or more players, suggests if the game is good for a group, and gives a one-word description of the game strategy. Extra game-playing tip: When you have a group of kids playing, ensure you have plenty of water on hand. If games are going on for more than an hour, include an optional healthy snack. As the kids are winding down, add books. Have one child read a book aloud for all to enjoy. There are many choices of books to learn about different countries. Here's a selection from Puerto Rico, compliments of Frances at Discovering the World Through My Son's Eyes. So, go enjoy and create some game-playing memories. Gathering children together to play games on a regular basis can make exercise fun and build positive social skills.